Click here to access 2019 Summit information, Cincinnati recommendations, and more! The Path to Success is Paved with Knowledge . . . Find It Here! The 2019 Knowledge Sharing Summit and Marketplace presents a broad range of learning opportunities featuring more than 80 speakers representing all segments of the hospitality industry. Over 60 sessions will be presented targeted to the following areas. Exhibitor Spotlight Sessions highlight the knowledge, products, and services offered by our Allied Partners. These fast-paced sessions kick off our Summit by presenting information that will help you meet and understand new Marketplace exhibitors or update your knowledge of their products. Aspiring Innkeepers Hospitality Path welcomes those exploring this industry for the first time with a full day of information about Innkeeping. Back of the House Path will help you and your team increase the effectiveness of all aspects of running your property from staffing to creating healthy work environments, to managing finances, and so much more. Guest Experience Path will excite you and your guests with fresh ideas for creative food, packaging and upselling offerings to increase your bottom line and surprise your guests. Revenue Development Path will challenge your knowledge with updates on the latest in technology and marketing trends to bring guests to your properties at the highest profit. The Marketplace is the place where the magic happens. It's where innkeepers and industry Allied Partners can meet face to face, shake hands, discuss products and services, laugh, network, and connect. It's where decision makers meet with other decision makers- and the industry as a whole profit from the connections made there. 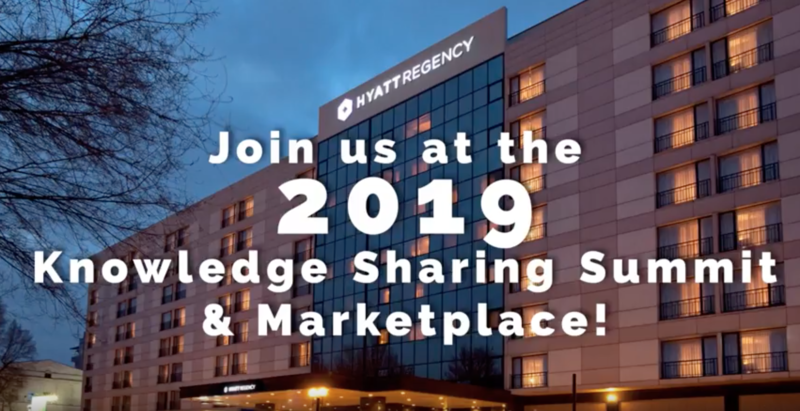 Click the image to check out our 2019 Knowledge Sharing Summit & Marketplace Announcement video! Why should you attend the 2019 Knowledge Sharing Summit & Marketplace? "I have attended every AIHP conference since its inception. Even as a 26-year veteran in the B&B industry, I still take away a wealth of information and ideas from each conference. In today's ever-changing world, innkeepers have to continually upgrade their knowledge and skills in marketing and technology, learn about new products and stay abreast of new developments in the industry. The AIHP Summit brings together the best, the brightest and the experts in all areas of innkeeping. The Marketplace offers an unsurpassed opportunity to meet face-to-face with suppliers of services and products, to see, touch, feel, compare and collect information. There are plenty of networking opportunities to meet with your peers or pick some of the best brains in the industry. With this Summit happening right in our own backyard, you'll never have a better opportunity to come and see what all the excitement is about." "As an original member of AIHP, I believe they are the strength in our world of smaller properties for education, networking, and vendors. There is no other conference that compares. It doesn't matter if you are a 4 room B&B, a full-service Inn, an owner of 8 rental cabins or several lodges, they are simply the best our industry has to offer. The education tracts offer everything for the want to be an owner, to the novice, to a long time experienced owner. There is tremendous value for everyone. This summit is a must-attend for anyone looking to grow professionally and personally."